When it comes to hiring wedding limo service, there are many questions to consider before signing a contract. What type of limo is needed? How much will it cost? Who will be driving? What if something goes wrong? These and the following questions should be answered before arrangements are made for hiring a limousine for the big day. What Model of Limo Is Available? Limousines vary from the classic stretch to an SUV-based model. Review the makes, models, and years of the limos available. Establish a dialogue with the company’s manager to create a contact should services fall short of expectations when the vehicles arrive. How Many Occupants Are Allowed? Keep in mind that the number of occupants allowed in a limo is its maximum capacity. Since a crowded limo is uncomfortable for the occupants, consider a larger model for additional space and room for personal belongings. Does the Limo Service Include Food and Drink? While some companies routinely stock their limos with various foods and drinks, others do not. Determine the responsibilities of providing all the amenities of a pleasing and comfortable wedding limo service. If the limo is not stocked, planners should order supplies in advance for the ride. Do They Charge by Hour or Mileage? This reply usually depends on the distance to be driven. 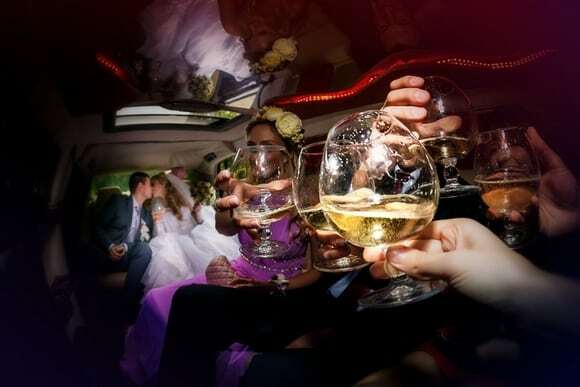 Wedding planners can start by determining the route to get a clear idea of the cost of the limousine from the company. Especially in Chicago, where expressway traffic is notoriously slow, it’s important to know the route ahead of time. What Is the Company’s Insurance Policy? Knowing details of the company’s insurance policy determines what is covered in the event of an accident. Also, who is responsible in the case of personal injury—you or the limo company. Do They Provide a Signed Contract? Every business transaction should be backed by a written contract signed by both parties. If the limo company does not offer wedding limo service contracts, the client is free to request that the agreement is formalized in writing and signed by both parties. Our professional, courteous, and helpful drivers at Echo Limousine provide wedding limo service that keeps customers returning time after time. For all your ground transportation needs, please call us at 773-774-1074 or fill out our contact form so we can help you.